The best possible backyard can be yours when you design the perfect backyard with the right software. Your backyard can be your perfect refuge with the right kind of landscaping software. Your backyard is many things. It's a place to hold a barbeque and welcome in the summer. This is where you can really let down your hair and relax in a safe and protected space. For many people, the backyard is also a place to show off their love of gardening and their own personal taste in landscaping. Landscaping can help protect you from prying eyes, and a landscaped backyard can also be a place where you garden and create intimate spaces that you know people will love. You can plant annual flowers to create a garden that blooms all year long, along with perennials that bloom brightly for maximum color. 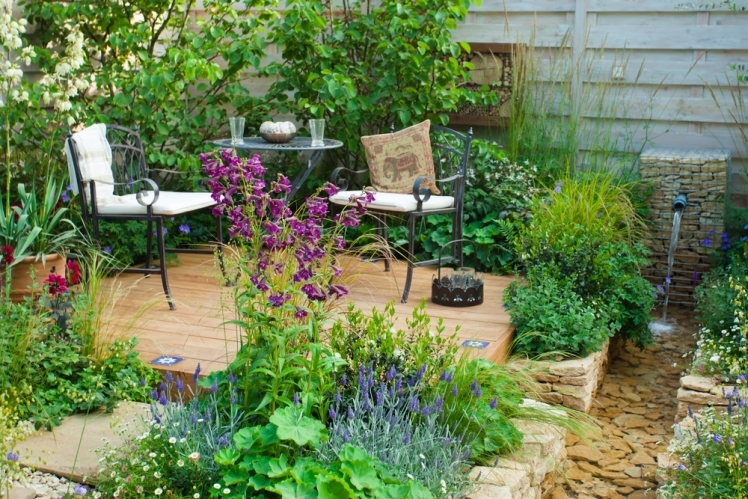 You might also wish to add extra touches such as a backyard water feature and places to sit and read. Backyard landscape design options are only limited by your imagination. 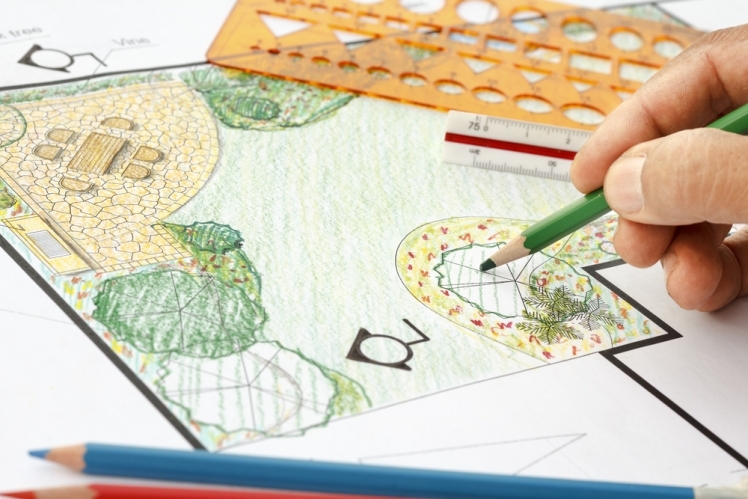 Software can help you map out the garden you have in mind before you begin. 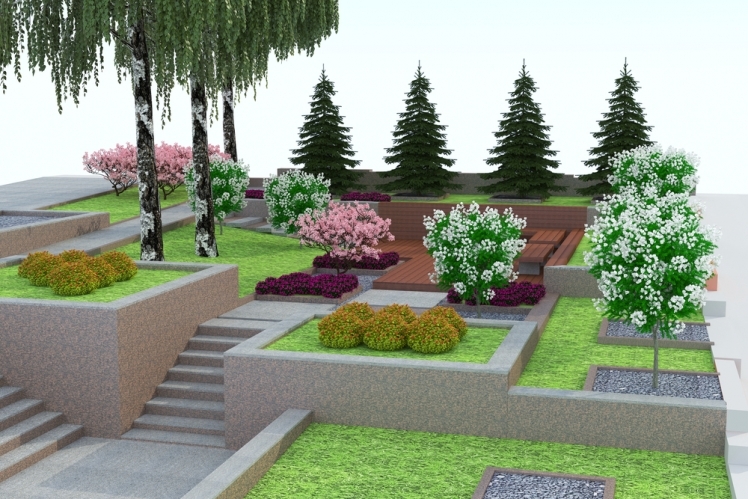 Using the right kind of landscape design program can also help you even if you have someone else do the landscaping for you. Local landscapers can follow your overall plan and even help you improve it. Before you do anything, you will need to have good measurements of your backyard. You may have the information you need to do this from when you purchased your house. This will include information about the size of your lot and your backyard. You also need to make sure that you know the boundaries of the yard. You don't want to place any landscaping feature on your neighbor's property. You also want to think carefully about all aspects of your yard and how each one works together. This way, you can make sure to place each item in the yard in a way that maximizes your privacy while creating an elegant and beautiful space. You should also know the exact height of your fencing and ensure it does not exceed local ordinances. Local landscapers can help make sure you are creating a beautiful space that adheres to local area land codes. Once you have the precise measurements on hand, you can begin to think about how all the elements of your home fit together and start deciding where you want to place each one. Picking out a program is your first step. You need to have a program that you feel comfortable using. If you have used design software before, you will be familiar with the basics of how to use such programs. In that case, it may be ideal for you to use a more advanced software program that will have extra features. If you have never used such software, look for options that have a tutorial program that you can follow. Keep in mind that many programs are designed for DIYers. 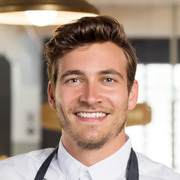 Even if you plan to hire someone else to do landscaping services for you, this kind of program helps you see the end result and get a feel for what kind of landscaping you can use to get the effects you want in your backyard. If you want to design the perfect backyard, you should take multiple factors into account. This is particularly true if you live in a place where you get lots of heat during the summer and lots snow and ice when the weather turns cold. You want to have a backyard that has been landscaped so that it will look great in all weather. A software program can help you discover which plants in your backyard are likely to thrive with less water and which particular plantings may need to have more sun. The program can help you decide exactly where to place the lovely Canadian maple you have in mind or where you might place an azalea bush so that it will cover the back fencing and provide amazing color. You can also use this software to help you determine the exact shadow that will likely be cast by plants as they grow. This way, you don't have to worry that you're placing some plants too close to each other and decreasing the shade each one needs. 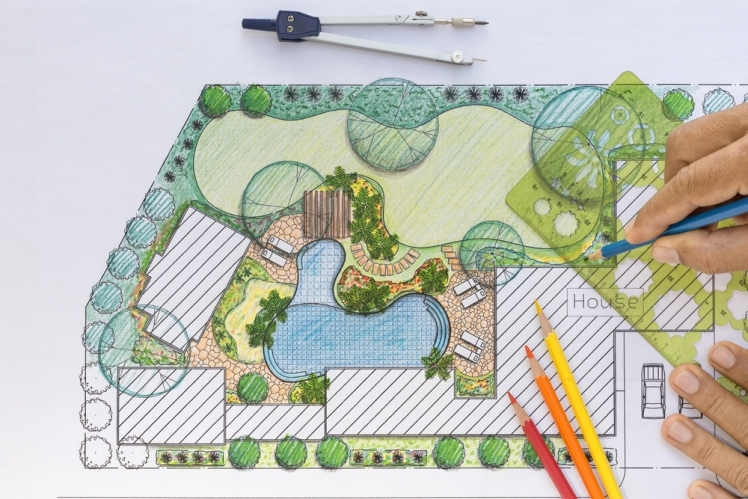 When you want to design the perfect backyard and you look to software for help, you should have an overall plan in mind. Many programs are based on the creation of a blank slate that might be your backyard at the present time. If you have a backyard that is part of a new development, you might have nothing more than grass. In that case, the software can allow you to pick out plants and other items such as fencing and then place them in a precise spot. If you have a small backyard, this can be the perfect way to get a real feel for the entire eventual look of the yard you have in mind. Most programs have access to a huge list of greenery, and many will even give you advice. Perhaps you might find that one type of type of plant is not going to work for you. In that case, the software can give you options for other kinds of plants that will work just as well. If you have a developed yard, you might want to add just a few things here and there. Most landscaping software also has a feature that helps you track your costs, which can be useful if you’re on a budget. The software may suggest less expensive plants and aspects of the design you have in mind. This way, you can still get the look you want and the landscaping services you know will work in your yard at less cost. You may wish to enter in specific costs on your own as you go so you are aware where your money is being spent when you design the perfect backyard.